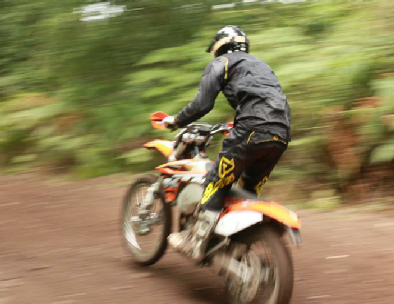 The weather’s been kinder to us in recent weeks, which has been great news for riders at Dave Barkshire Motorcycle Training and our off-road track Hit The Dirt alike. “Absolutely awesome track, just down the road from me, ideal opportunity to get that last minute practice in before events to set the bike up with also or just have a laugh with your mates!” Luke Yallop. 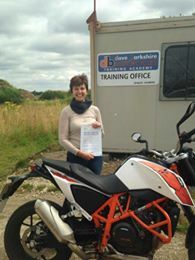 Meanwhile at Dave Barkshire Motorcycle Training, we’ve had a bumper crop of successful riders to join our hall of fame. From riders successfully completing their CBT (Adam, Laura, Matt, Dan, Sam and Charles) to a huge number of individuals passing their mod 1 and mod 2 tests, it’s been epic! Special mentions must go to Ty with outstanding mod 1 and mod 2 passes, Sally and Ciaran for fantastic mod 2s and Harrison for flying through his A2 mod 2 test – we expect a flypast when he makes it as a pilot in the RAF! 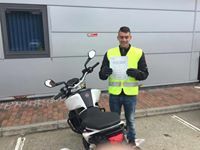 It’s great to see so many successful riders once again – we enjoy seeing them climb up the ranks completing various modules, some in an amazingly short time.